This combo unit features the look of a Spanish Galleon on the high seas. Designed as a combination climb slide and bouncer, the Pirate Ship is a true favorite for children of all ages. 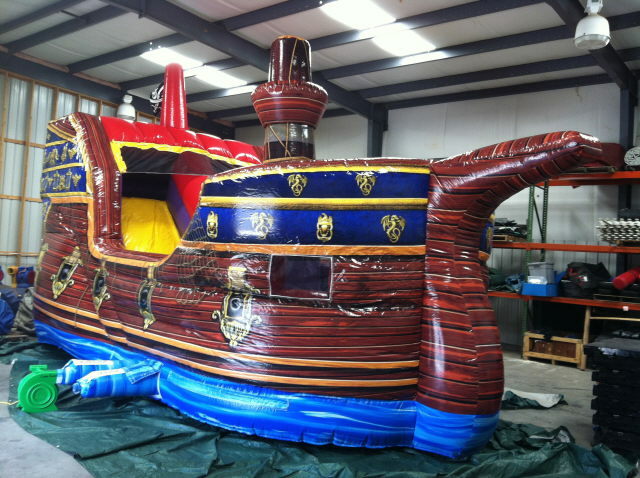 * Please call us for any questions on our inflatable pirate ship rentals in Cornelius NC, Lake Norman, Mooresville, & Davidson, North Carolina.